Suites tailored to the unique desires of your special feline friend! 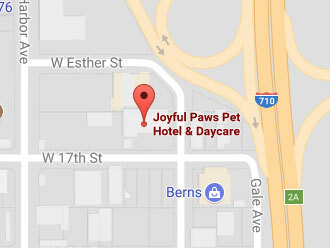 Our kitty condos at Joyful Paws Hotel in Long Beach provide all the comforts of home in a safe, quiet, and private cat boarding space. These luxurious vacation homes offer two stories of fantastic space for your cat to play in and a private litter box area for your kitty’s comfort and privacy. Our kitty condos are the perfect size for one to two small- to medium-sized cats. 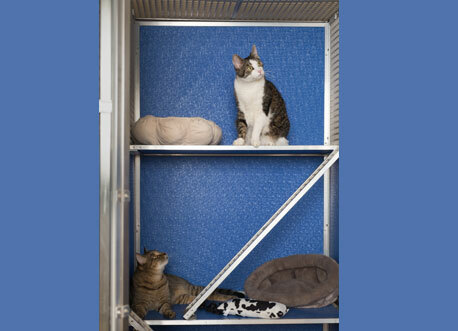 If you feel your cat(s) needs more room, you can rent a top and bottom unit with an open passageway connecting the two. We also offer a variety of extra amenities for a hotel quality stay. 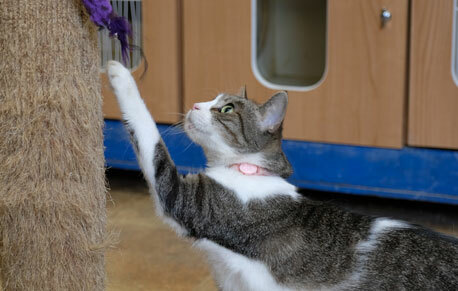 We also offer the purr-sidential suite for Cat Boarding. This is the most spacious and special suite we offer. This suite is great for owners who have multiple cats who will board together, or for a cat who is solo but who enjoys lots of space to roam and lounge around in. It has three levels with two stairways connecting each story. The space is large enough to accommodate a few touches from home, and our feline guests are welcome to decorate this suite with their favorite bed, scratching post, and toys. Feline guests can be curious and want to stretch their legs and receive lots of play time so we offer “The Open Roam Session.” This allows our feline guests to roam the enclosed cat room (exclusively for cats!). 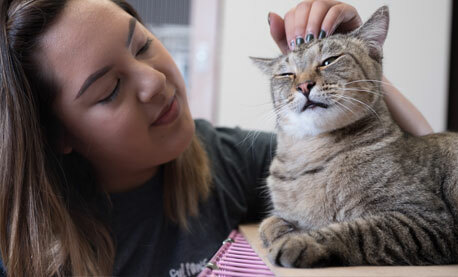 During their time in the cat room, guests can play with our staff and have access to a variety of fun toys, scratching posts, and shelves (because what cat doesn’t love to perch on a high shelf? ).